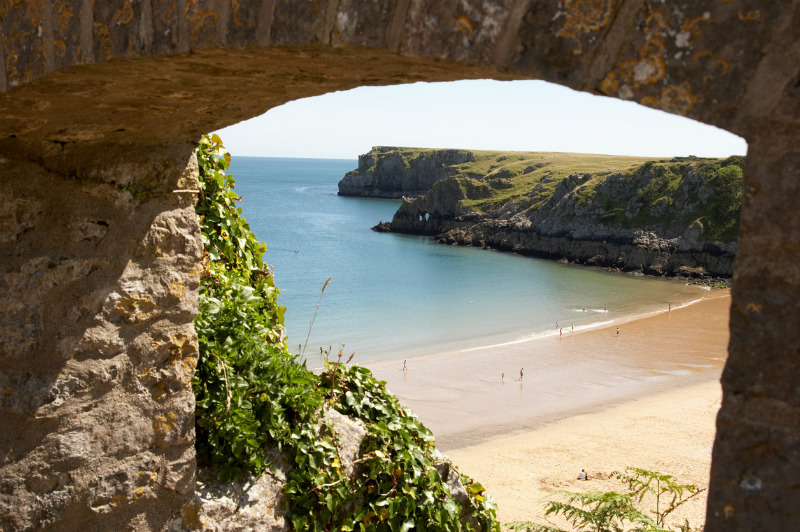 There’s no real need to go jetting off abroad for beautiful beaches with Wales right on your doorstep. England’s neighbour is a truly stunning country, offering over 2,700 kilometres of coastline and some of the most striking beaches in the world. Whether you’re basking in the Irish Sea to the west or lounging along the in the Bristol Channel to the south, there’s plenty of sandy havens, rocky pools and lovely pebbly coves. 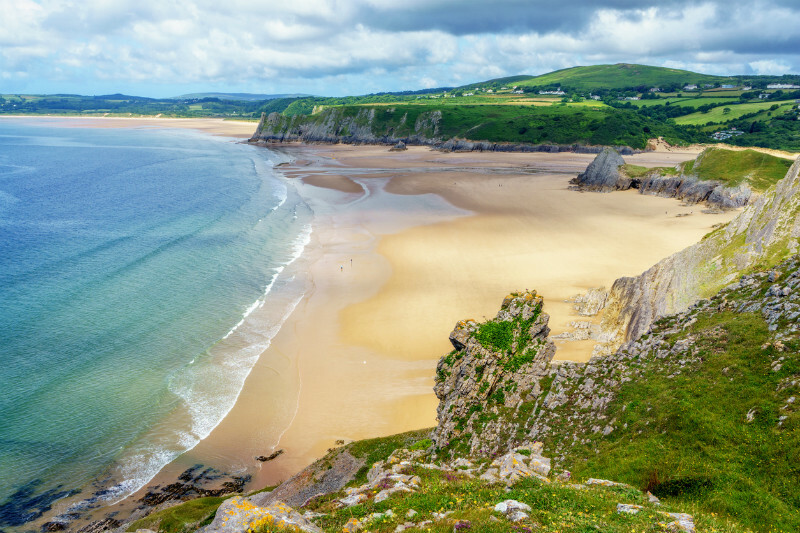 Here’s our look at 20 of Wales’ most stunning beaches. Famed for its lively family atmosphere, Abersoch is safe and sheltered, though breezy enough to keep dinghy sailors happy. August’s Regatta draws in the crowds. Raft racing, sandcastle and crabbing contests bring out everyone’s competitive side and there’s even a prize for the best-dressed beach hut. Picturesque Barmouth Beach is huge and relatively crowd free. Barmouth itself has attracted holidaymakers since Victorian times so you can expect a typical British seaside resort, complete with ice cream sellers, arcade games and donkey rides as well as a vintage railway. As the name implies, Broad Haven North’s sandy beach offers acres of space for kids to play on the beach. The water is safe and shallow enough for swimming, while hours can be spent exploring the rock pools. Dale is mainly pebbly with a little sand and is a water sports mecca. This safe bay is a great place to learn to sail, kayak or windsurf with experienced RYA instructors available to teach novices. True to Gower style, Caswell is stunning. The sand is pale and fine, while the grass cliff tops add drama. Just ten minutes’ drive from the village of Mumbles, this is the place for children to explore the rock pools while the older kids take to the surf. Perfect for camp sites and beach outings, Pot Eynon offers a generous sweep of sand with dunes, pebbles and rock pools backed by picturesque headlands. The village of Port Eynon offers all you might expect from a British seaside holiday: ice cream and fish and chips while the coastal path to Rhossili is one of Gower’s most beautiful. 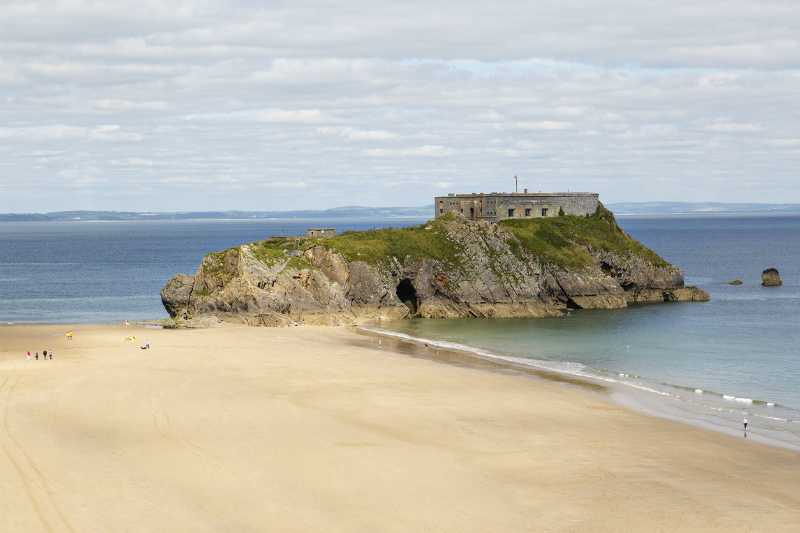 There’s not just one fantastic beach in Tenby, but three. Here you’ll find pretty, brightly painted houses – the town is often named among the UK’s top beach destinations. Benllech is set on a crescent-shaped bay with fine sands stretching for miles. The beach is Blue Flag and recognised as ‘exceptionally safe for bathing and paddling.’ It’s easy to access, even with pushchairs, prams and wheelchairs. Llangrannog is a cluster of houses nestled between two headlands. Boats perch on the shingle part of the beach, while the rest is sand. The coastal footpath here is an added attraction. Eight miles of beach await you, along with safe water and easy access for families. You can climb the dunes and spy beetles, grasshoppers and other insects in the Marram grass. Cefn Sidan is part of Pembrey Country Park which offers play areas, an equestrian centre and a dry ski slope making so there’s no shortage of entertainment for the kids and young at heart. Huge crags of red rock laden with fossils jut out to sea forming pretty little coves and slips of sand. Presipe is a secluded bay where footprints in the sand are likely to be none other than your own. Look out for the small waterfall at the back of this sandy bay as it streams runs onto the sand across purple slate. Watwick is a lovely place to relax and unwind as you marvel at the impressive views of West Angle Bay, Rat Island and onwards to Pembroke Dock. Surrounded by a lush green valley near Newgale and part of St Brides Bay, this little bay is a must for swimmers. It is well protected from the currents that run between the land and nearby Ramsey Island so you can swim to explore the countless hidden caves. After mid-tide, the bay offers large expanses of soft, moist sand, perfect for sand castle building. A stone’s throw from busy Whitesands Bay, this tiny beach hides behind St Davids Head. A stream cuts across the sand and the sheltered waters are perfect for paddling, crabbing or sunbathing. Just a 10 minute drive from Fishguard and a 20 minute stroll from Strumble Head, this quiet cove is a great escape from the summer resort crowds. You can swim without the fear of strong currents or swells, and perhaps spot seals in the bay too. Backed by low headlands and three waterfalls, it’s hard to ever leave pretty Porthsychan. Aber Castell is a real smuggler’s cove, complete with numerous hollows to explore along the cliff. The beach is only 15 minutes’ walk from the car park, although you can take a longer return route through a wooded valley and along a riverside path bordered by waterfalls. A quick drop down a dune from the car park, Porth Iago is sandy with clear blue waters, ideal for swimming and kayaking. Porth Ferin, the more secluded of the two, has wet sand and smooth pebbles at low tide. Cross the cliffs that frame Morfa, a National Trust owned nature reserve to get to this pretty cove. Views include Snowdonia’s Yr Eifl Mountain. The beach itself is adorned with grassy knolls on the surrounding slopes – sunbathe in peace and comfort as you take in the dramatic scenery. Deposits from the river Afon Goch have over the years created the wonderful Traeth yr Ora Beach, just south of the mouth of the estuary. Marvel at the fantastic views from sea level or take a walk past some historical monuments, Dulas Island and the surrounding countryside. Accessed by the same footpath are Wales’ most northerly beaches. Porth Llanlleiana is a cove covered in small pebbles which are smooth enough for sunbathing and walking across. Hell’s Mouth is a tiny area of shingle providing gentle access to the Irish Sea. If you run out of space, the gentle headlands are covered in grass, making picnicking and sun bathing a joy.